Whether you’re looking to sell your home or buy a new one, you need to be aware that an electrical inspection will be part of the process. The findings of this inspection can affect the price you pay or receive for the property. That’s why it’s essential to get a reputable firm like electricaldetectives.com.au to check your electrical installation as soon as possible. However, it is still possible to have issues after an inspection has occurred, that’s why it’s essential to be aware of the 5 warning signs regarding home electrics and compare electricity providers. If you get a small electrical shock when you flick a switch, plug in an appliance or turn something on, then you probably have an issue with the wiring or the appliance. The most common issue in this instance, assuming your hands are dry, is that the ground has become defective. While a small shock can remind you of the power of electricity, this is something you need to get fixed by a professional as quickly as possible. If your breaker keeps tripping then you are probably overloading the circuit or have a bad appliance. However, before you check the circuit it’s a good idea to look at the breaker. These can become old and faulty, or you may have a wiring issue inside the fuse box. 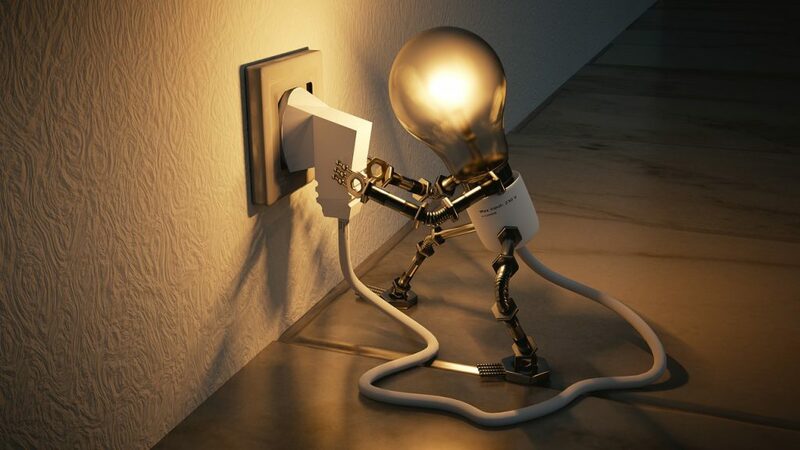 If checking your appliances doesn’t throw any light on the situation you’ll need a qualified electrician. The most likely cause of a socket not working is loose wiring inside the socket or the socket is starting to break up, preventing the electricity from getting to your appliance. This can often be accompanied by the small shocks mentioned in warning sign 1. You’ll need to verify there is power to the socket, this will eliminate the problem being in the wiring and leave you needing to replace the socket. However, you may prefer to get a professional to look at this for you. A spark or the smell of burning is another indication that the wires are loose or the socket defective. There is a good chance this will progress to small electrical shocks and a real risk of a fire developing. The circuit should be shut off until it can be fixed properly. If your lights are flickering then you may have a loose wire, damaged socket, over-rated bulb, or even too much insulation. All of these things will lead to a faulty electrical supply or overheating of your light circuit, causing the bulbs to flicker. This can also be an issue at the other end of the circuit, in your circuit breaker box. You’ll need professional help to verify this. Purchasing, or even selling, your home is an exciting time. But, you need to take the right steps to ensure the electricity is safe. It won’t just affect your wallet, it can protect you and the new occupants from harm, which is difficult to put a price on.